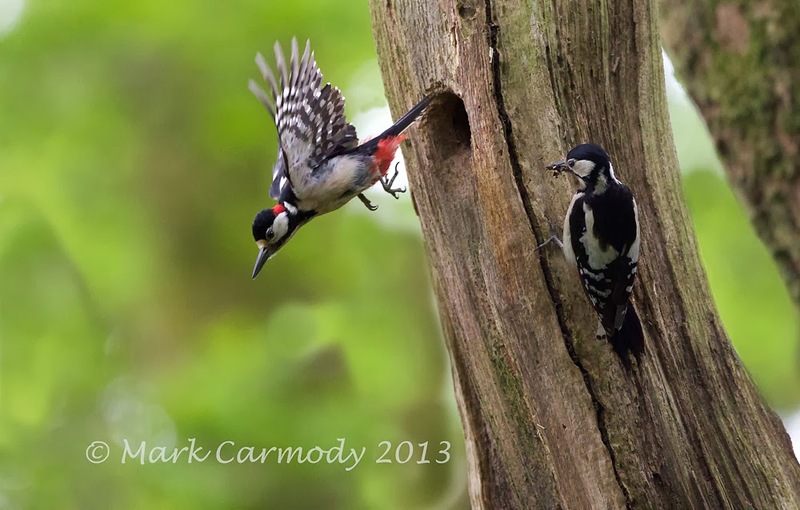 "A Rough Guide to.. Wildlife Photography" A presentation by Mark Carmody will take place on Thursday 20th March in Cavan County Museum, Ballyjamesduff at 8pm. Mark is a keen birder/wildlife photographer and, along with Jim Wilson, has recently produced the first photographic ID guide to the birds of Ireland which is called, "The Birds of Ireland, A field Guide" (produced in association with BirdWatch Ireland). Mark's presentation will tell the story of how he started in wildlife photography and how the books he has published along with Jim Wilson came about. He will talk to us about the photography techniques he has learned and how he has put them into practice. The talk will be illustrated with many photographs of birds and wildlife from Ireland and abroad and is geared to suit both photographers and also those with a general interest in wildlife. Other books produced by Mark and Jim include "Shore-Birds of Ireland" and "Fresh-Water Birds of Ireland"
Copies of Mark and Jim's new book will be for sale on the night after the presentation. All welcome and admission is free! Cavan Branch Members AGM will take place prior to the talk at 7pm sharp.